They are systematically buying up or gaining control of the essential lifelines of the economy. How have they pulled this off, and where have they gotten the money? According to legal scholar Saule Omarova, over the past five years, there has been a “quiet transformation of U.S. financial holding companies.” These financial services companies have become global merchants that seek to extract rent from any commercial or financial business activity within their reach. They have used legal authority in Graham-Leach-Bliley to subvert the “foundational principle of separation of banking from commerce”… It seems like there is a significant macro-economic risk in having a massive entity like, say JP Morgan, both issuing credit cards and mortgages, managing municipal bond offerings, selling gasoline and electric power, running large oil tankers, trading derivatives, and owning and operating airports, in multiple countries. In an illuminating series of articles on Seeking Alpha titled “Repoed!“, Colin Lokey argues that the investment arms of large Wall Street banks are using their “excess” deposits — the excess of deposits over loans — as collateral for borrowing in the repo market. Repos, or “repurchase agreements,” are used to raise short-term capital. Securities are sold to investors overnight and repurchased the next day, usually day after day. The deposit-to-loan gap for all U.S. banks is now about $2 trillion, and nearly half of this gap is in Bank of America, JP Morgan Chase, and Wells Fargo alone. 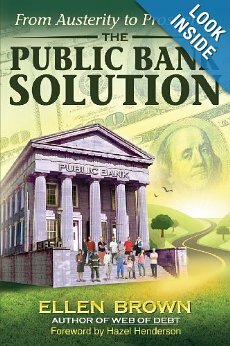 It seems that the largest banks are using the majority of their deposits (along with the Federal Reserve’s quantitative easing dollars) not to back loans to individuals and businesses but to borrow for their own trading. Buying assets with borrowed money is called a “leveraged buyout.” The banks are leveraging our money to buy up ports, airports, toll roads, power, and massive stores of commodities. Historically, banks have attempted to maintain a loan-to-deposit ratio of close to 100 percent, meaning they were “fully loaned up” and making money on their deposits. 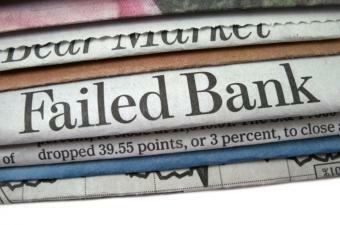 Today, however, that ratio is only 72 percent on average; and for the big derivative banks, it is much lower. For JPMorgan, it is only 31 percent. The un-lent portion represents the “excess deposits” available to be tapped as collateral for the repo market. The Fed’s quantitative easing contributes to this collateral pool by converting less-liquid mortgage-backed securities into cash in the banks’ reserve accounts. 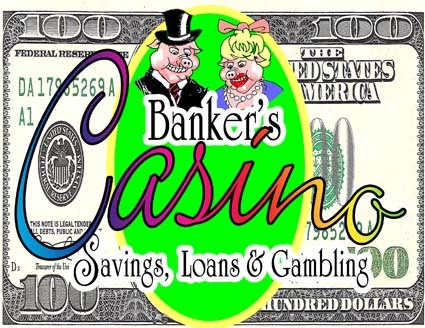 This cash is not something the banks can spend for their own proprietary trading, but they can invest it in “safe” securities — Treasuries and similar securities that are also the sort of collateral acceptable in the repo market. Using this repo collateral, the banks can then acquire the laundered cash with which they can invest or speculate for their own accounts. Lokey notes that U.S. Treasuries are now being bought by banks in record quantities. These bonds stay on the banks’ books for Fed supervision purposes, even as they are being pledged to other parties to get cash via repo. The fact that such pledging is going on can be determined from the banks’ balance sheets, but it takes some detective work. Explaining the intricacies of this process, the evidence that it is being done, and how it is hidden in plain sight takes Lokey three articles, to which the reader is referred. Suffice it to say here that he makes a compelling case. JPMorgan’s businesses take in more in deposits that they make in loans and, as a result, the Firm has excess cash that must be invested to meet future liquidity needs and provide a reasonable return. The primary responsibility of CIO, working with JPMorgan’s Treasury, is to manage this excess cash. CIO invests the bulk of JPMorgan’s excess cash in high credit quality, fixed income securities, such as municipal bonds, whole loans, and asset-backed securities, mortgage backed securities, corporate securities, sovereign securities, and collateralized loan obligations. 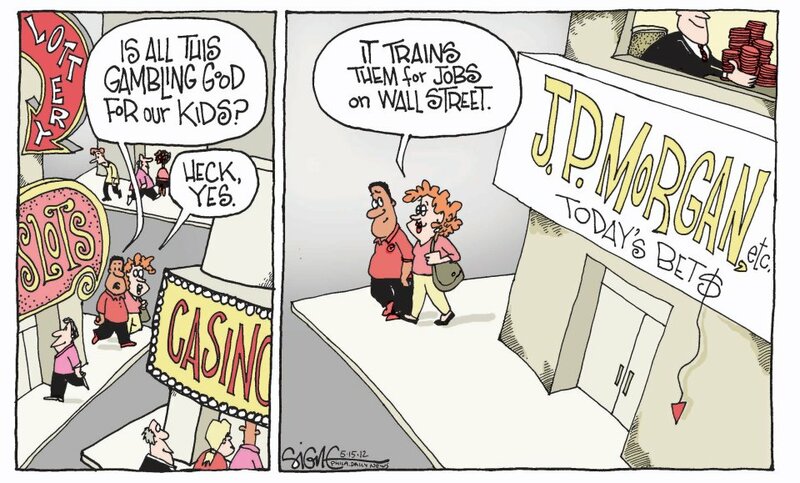 All this helps explain why the largest Wall Street banks have radically scaled back their lending to the local economy. It appears that JPMorgan’s loan-to-deposit ratio is only 31 percent, not because the bank could find no creditworthy borrowers for the other 69 percent but because it can profit more from buying airports and commodities through its prop trading desk than from making loans to small local businesses. 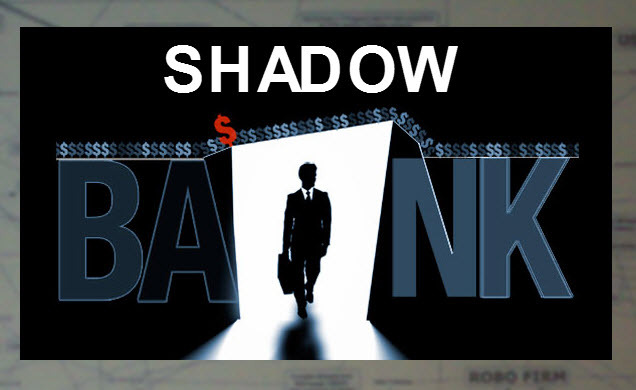 Thank you Ellen Brown and Huffington Post for another informative post – and reminder that money in the banking system is not safe. 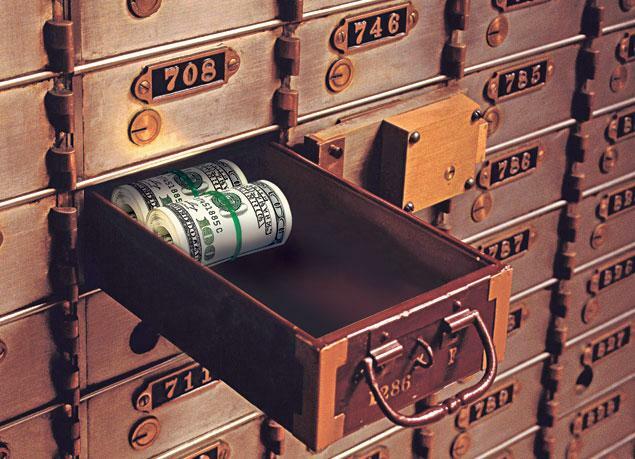 We’ve reminded you in several posts that money is not safe, secured or FDIC covered in a major emergency… just another reminder that even bank safety deposit boxes are potential targets as well. See: Bank of America drills open customer safe deposit box and removes contents. 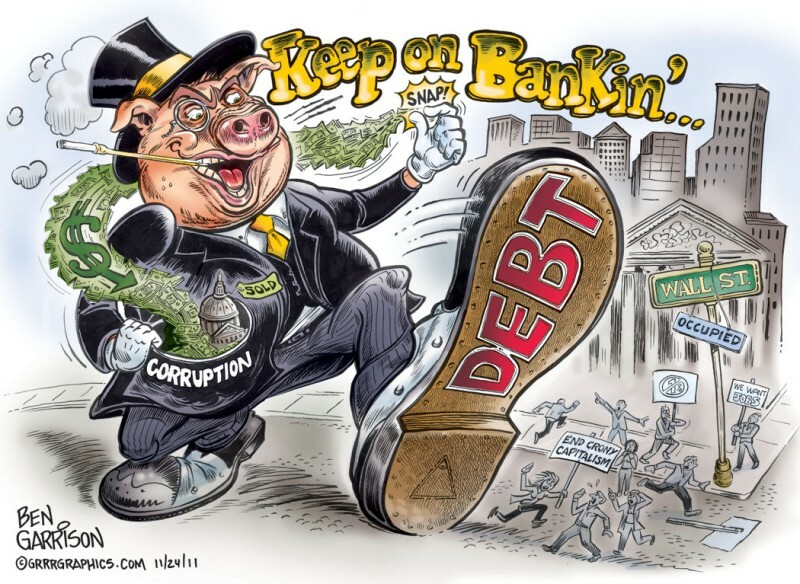 This entry was posted in Foreclosure Defense and tagged "Bank of America", "Huffington Post", "Wall Street", "Wells Fargo", ABS, Alan Grayson, Bail-In, banking, Beau Biden, Bernanke, Business News, casino, CDO, cds, CIO, Citigroup, Colin Lokey, derivatives, Dodd-Frank Act, Ellen Brown, FDIC, Federal Reserve, federal reserve chairman, Finance, financial crisis, Glass Steagall, Gramm-Leach-Bliley Act, Grayson, JPMorgan, London Whale, Mattress Safe, MBS, money laundering, Public Banking, repo collateral, securities, Seeking Alpha, Treasury, unsecured creditor, Web of Debt by Deadly Clear. Bookmark the permalink. My personal feelings are to boycott the big banks in every way possible. They need victims like us and we don’t need them. I went to credit unions years ago. Please push for passing the modern day Glass Steagall Act. The repo market has recently been suffering from a shortage of Treasury bonds because of the U.S. Federal Reserve’s massive bond buying program to stimulate the economy. Some repo rates that banks pay to investors to provide them with short-term cash have even turned negative, meaning investors in money market funds and asset managers now pay to hold the securities, rather than get money for lending cash.